Palace On Wheels package tour is that your journey from one tourist destination to another. In comfort of your relaxing chambers, lavish food, local sightseeing during the Day, with Services of English Speaking Guides. Entrance fees to the monuments. Arrival & traditional welcome starts at 4.30 pm at Safdarjung Railway Station, Train Departs by 6.30 pm. This first day of your Palace on Wheels package, enjoy grand dinner and overnight journey in the train. Next morning guest will arrive at Jaipur. Next day arrival at the beautiful city of India, Jaipur built in the early 18th century & once the center of Rajputs Royal families. Jaipur also popularly known as the Pink City. This is an important place of your Palace on Wheels package. The Amber Fort was built by Raja Maan Singh I in the 16th century. Amber Fort is located in Amer 11 kilometers from Jaipur. The main attraction of Amber Fort is Elephant Ride, evening enjoy dinner in the Jai Mahal Palace Hotel. Back to Train for the overnight journey. 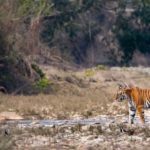 Next day early morning arrival at Sawai Madhopur, and excursion to Ranthambhore Tiger Reserve, famous for its tiger population. 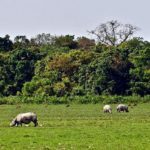 You will have a chance to see other major wild animals include the tiger, leopard, nilgai, sambar, dhole, wild boar, hyena, sloth bear, and chital. It is the place of a wide variety of trees, plants, birds, and reptiles. Ranthambore is also famous for one of the largest banyan trees in India. Wildlife destination is part of your Palace on Wheels package so hope you will enjoy much here. Afternoon excursion to Chittorgarh Fort, atop a wide plateau & having a number of water bodies. In the old age, it was home to the Mewar Dynasty-said to be one of the longest royal lineage Evening enjoy Sound & Light Show. A grand dinner and cultural show at Panna hotel. Evening board on the train for an overnight journey. Next morning arrives at Udaipur. Udaipur is widely known as the City Of Lakes, the Mewar Dynasty Clan shifted & built this city in the 16th Century. Visit of City Palace complex, originally built in the 16th century & renovated in the 18th Century. 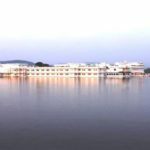 Enjoy Boat Ride in Lake Pichola Lunch in a Palace hotel. Palace on Wheels package is incomplete without visiting Udaipur. Evening board on the train, enjoy a grand dinner and overnight journey. Next morning arrival at Jaisalmer. Next morning arrival at Jaisalmer, lies in the heart of Thar desert, & surrounding sands have Golden Yellowish tinge. Later visit of Jaisalmer Golden Fort, originally built in the 12th century and renovated in the 18th Century. Afternoon guest proceeds for the excursion to Sam Sand Dunes and camel ride followed by Cultural program and bonfire dinner under the open sky, in the desert. Jaisalmer is another important part of Palace on Wheels package. Evening back to the train to the onboard overnight journey. Next morning arrival at Jodhpur, it was the capital of the state of Marwar. Now a famous tourist destination, consist of many palaces, forts, and temples. The first thing to visit Mehrangarh Fort Palace located on 400 feet hill & beautiful constructions. The foundation of the Fort was laid in the 15th century and completed in the 17th Century. There is a Museum collection in the Palace. Other things to visit Jaswant Thada, an architectural 19th-century landmark in white marble and built as a memorial to local Royalty of Rajput’s. Lunch at the Palace Hotel. Feel royal hospitality with Palace on Wheels package. Evening back to the train for lavish dinner and onboard overnight journey. In the morning train arrive at Bharatpur. Early Morning arrives at Bharatpur must enjoy a cycle rickshaw ride through narrow pathways. Bharatpur Bird sanctuary is a UNESCO World Heritage site. There are more than 230 species of birds to watch. Afternoon visit of Agra Fort, It was a palace of The Mughal emperors. Later visit Taj Mahal, a UNESCO World Heritage Site & more popularly renowned as One of the Seven Wonders of World. Taj Mahal is the most important part of Palace on Wheels package. Enjoy dinner in a luxury hotel of Agra. You will be served breakfast on board on the train. The time comes when Palace on Wheels package completed Around 07:00 AM farewell and check out process will be completed.